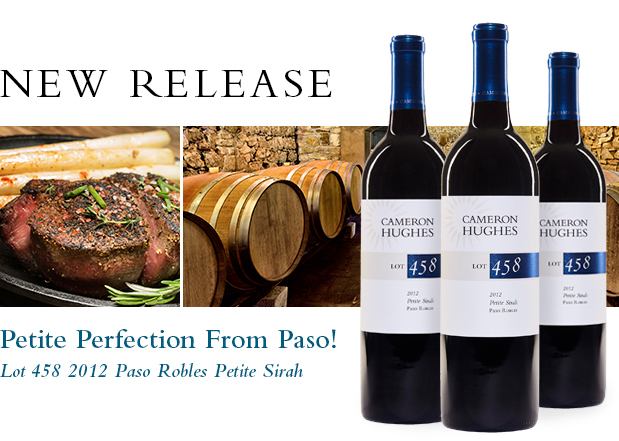 Just Released: A Gorgeous Napa Valley Red Blend Under ! Our standards are extraordinarily high – for every 100 samples that we come across, maybe one of them ever makes it to Lot status. We don’t release a wine unless it has the highest quality at a price that offers our customers a massive value. It’s what put us on the map, after all. That said, our borderline fanatical attention to achieving that quality/value combo makes it difficult to find candidates of rarer varietals like Petite Sirah – Lot 470 was our first PS release in years. However, I’m excited to announce that today is our second in three months! Petite Sirah plantings in California had a near-fatal run-in with virused budwood (leafroll) in the 90s, and that experience left a bad taste in farmers’ mouths for quite some time – plantings of this varietal languished throughout the 2000s, and it continues to be one of the rarest grapes in California. However, the recently released California Grape Report shows big increases in this varietal being planted across the state – an encouraging sign for those of us who love Petite Sirah and want to see more of this exceptionally deep-colored, intense, full-bodied grape. If you were a fan of Lot 470, you're going to love this. 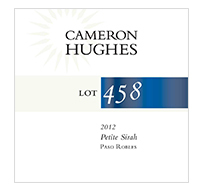 Lot 458 2012 Paso Robles Petite Sirah is sourced from one of the godfathers of the “new” (unvirused) Petite Sirah budwood on the Central Coast. This man has done more to propagate the varietal than just about anyone there, leading to a renaissance of Petite Sirah that is just now beginning to see some real momentum. The wine itself has spent almost three years in barrel, patiently developing its dark intensity into an open-knit, accessible package. At $15/bottle, this is an absolutely ridiculous value for a wine of this quality. Blueberry essence is immediate on the nose, and with a bit of air opens up to reveal violet florals, cedar shavings, dark berry and wood smoke. Rum raisin, savory coffee, and blackberry compote flavors mingle on a dense, yet open-knit and expressive palate. A runaway favorite for pairing with a rich, fatty steak or anything else with bold, oversized flavors. As a New Release special offer, go ahead and take 15% off any purchase of one case or more through Thursday night at midnight (Wine Club members get 20% off) as long as it includes one bottle of Lot 458 (mix and match the whole store! ).